Haiku reviews is a new feature wherein I invoke the brief and impressionistic style of poetry to devote exactly 17 syllables to reviewing a beer. Where you can get it: Available in 341mL bottles and 473 mL cans and 30L Kegs at The Beer Store. 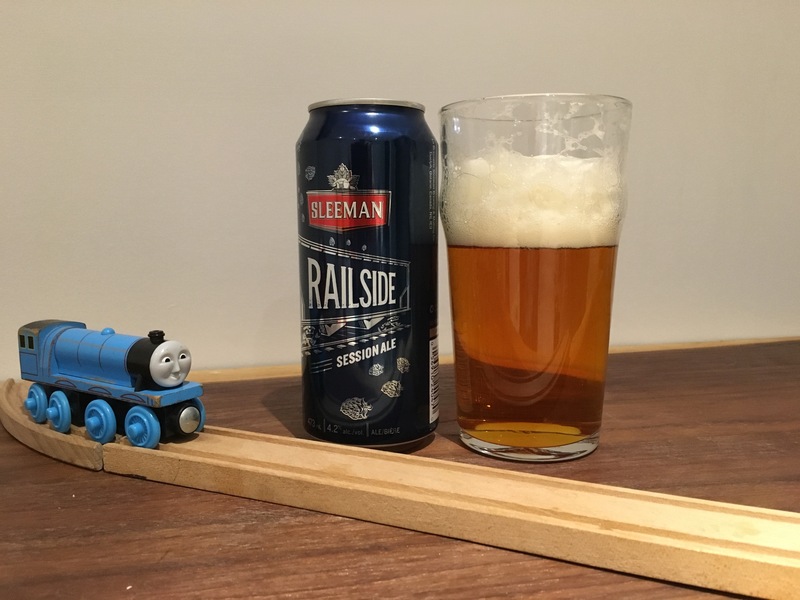 Categories: haiku review | Tags: guelph, railside session ale, sleeman | Permalink. they took the name after seeing Junction selling a really nice looking can at the LCBO. Their little story is so poorly researched. Either that or they are just counting on customer ignorance. Hops don’t just grow magically from the harvested unfertilized female cones used for brewing. Pure stupidity. Are you saying there was no such thing as seeded hops in the 1800’s? Less time primping your craft brewing beard and more time researching the brewing industry of 19th century would do you well. Your comment is pure stupidity. I was thinking the same thing Brewster. I am sure that random seeds would be on the trains. That’s nature for you. Plants disburse their seeds any way they can: birds, wind, insects and sometimes riding the rails. University of Guelph Grad. 31 years on the railway. 25 before they changed the rules on dumping human waste along the wayside. Nice but I’m not going to try this product.